Recently rescued sun bear Aurora is well into middle age for her species, but feels just like a cub again thanks to her five new best friends. 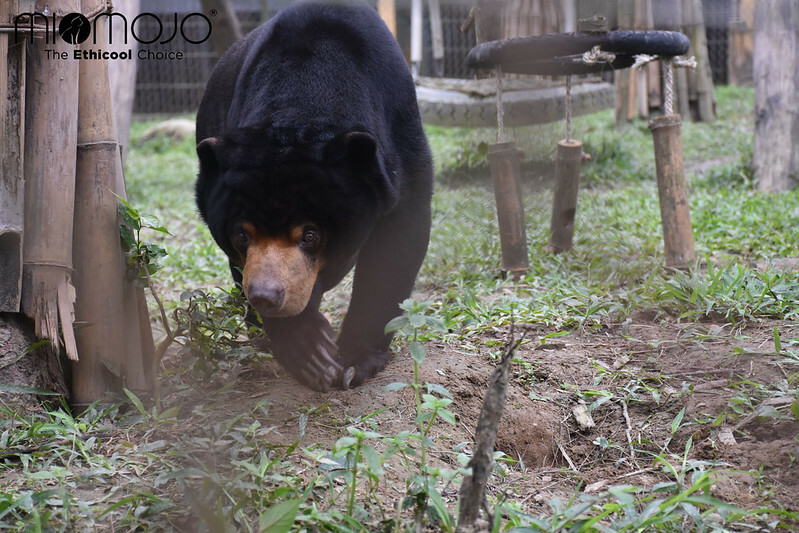 After 15 years held in a barren cage, sun bear Aurora was rescued from a long, desolate life as an exotic pet in December 2018. Just two months after being freed by Animals Asia and brought to the charity’s award-winning rescue centre in Vietnam, this brave little sun bear once again felt the sun on her fur as she walked on grass for the first time since being poached as a cub. Now, just a few weeks later, she’s amazed her carers again by instantly making friends with five other sun bear orphans at the sanctuary. Sun bears Aurora, Goldie, Sassy, Annemarie, Murphy and Layla all live in an outdoor enclosure filled with trees, a swimming pool and climbing frames. 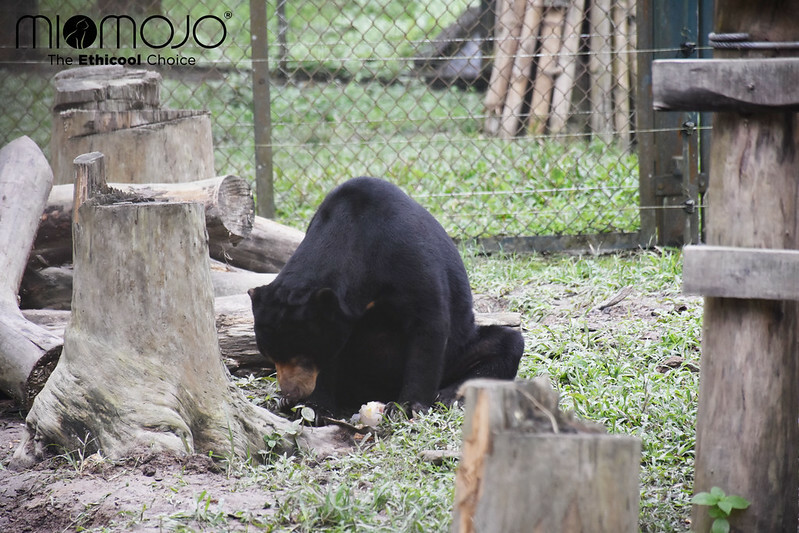 They are able to express natural behaviours such as foraging and the group provide emotional support for each other – a situation made possible by the generous support of Miomojo, a fashion company which currently part-sponsors the bears. In the first week of meeting the group, Aurora wrestled with her new friends, played with them on the grass, ate and foraged next to them and even spent time sharing sleeping baskets with them. Most encouragingly, Aurora instantly struck up a friendship with Annemarie, one of the most traumatised bears at the sanctuary. It is hoped that the positive relationship developing between Aurora and Annemarie could help both bears to overcome their traumatic pasts and to enjoy the future together. “This has been the most amazing period of Aurora’s life and she has taken all the enormous changes in her stride. It was wonderful to see her rest in her basket after a long day playing with her new friends looking very pleased with herself, rolling around and playing with Goldie. We know she is going to be very happy here.